Summary: The description, specs, photo, pricing and ratings for the SIG Sauer P229 Enhanced Elite pistol. Front cocking serrations are optional. 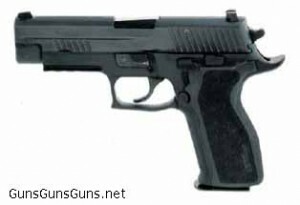 This entry was posted in .357 SIG, .40 SW, $1,001-$1,250, $751-$1,000, 9mm, Full size, Semiauto, SIG Sauer on October 10, 2010 by Staff.